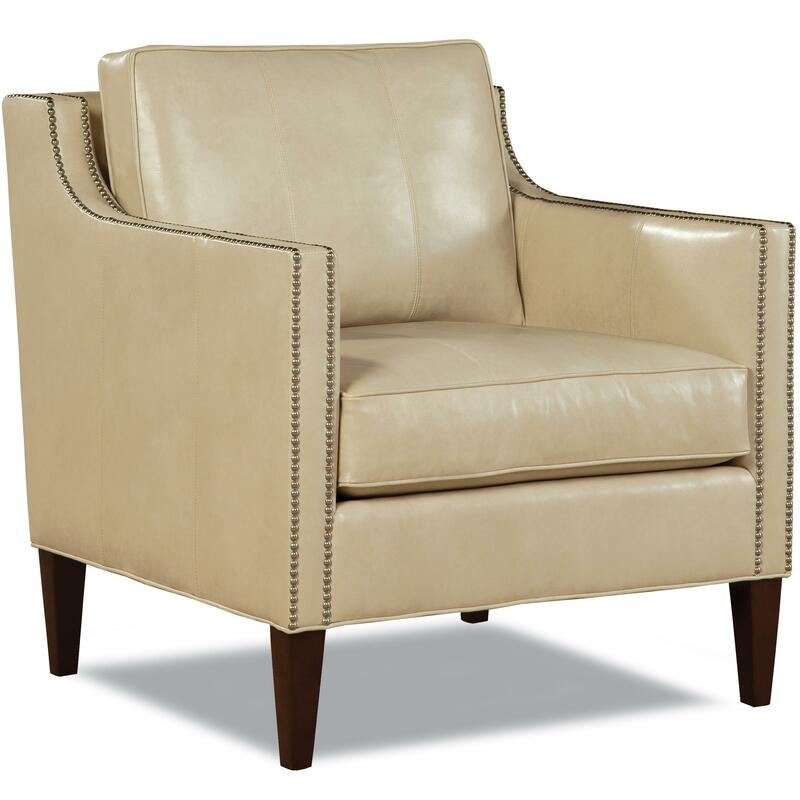 Relax in style with this transitional upholstered chair. Skillfully crafted to meet all your comfort and style needs, this chair features 8-way hand-tied coil construction and stylish nailhead accents, creating both a durable and fashionable seat. A quick and easy way to switch up the look and feel of a room, this chair is the perfect accent for your home. Whether placed in the corner of your home office or positioned next to your living room sofa, this upholstered chair is bound to catch the eye and contribute to comfort. The 7188 Transitional Upholstered Chair with Nailheads by Huntington House at Wayside Furniture in the Akron, Cleveland, Canton, Medina, Youngstown, Ohio area. Product availability may vary. Contact us for the most current availability on this product. Seat Ultra Plush. The UP cushion, standard on many styles, features a thick polyurethane core wrapped in layers of ultra soft Dacron fiber (to provide a softer seat) and then sewn into a ticking.